Welcome to the Stock Trading Money Management Tools and Resourcespage! And believe me, having a financial risk management plan is not an option if you want to succeed as a stock trader! Good personal money management will keep you out of the hole and you have to know in advance how much you can lose and when and what level you will cut your loss. Have you used any of our recommended Stock Trading Money Management Resources? 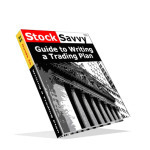 Return from "Stock-Trading Money Management Tools" to the Home Page: "Stock Market For Beginners"